Want a good hair day in an instant? We have just what you need, and it is called dry shampoo. Dry shampoos are easy to use, travel-friendly, and quick. And they have similar effects as washing your hair. So, that means having fresh and well-styled hair throughout the week with less than half the effort. Just perfect. Here are 10 of those ideal dry shampoos for you to try. Take a look. 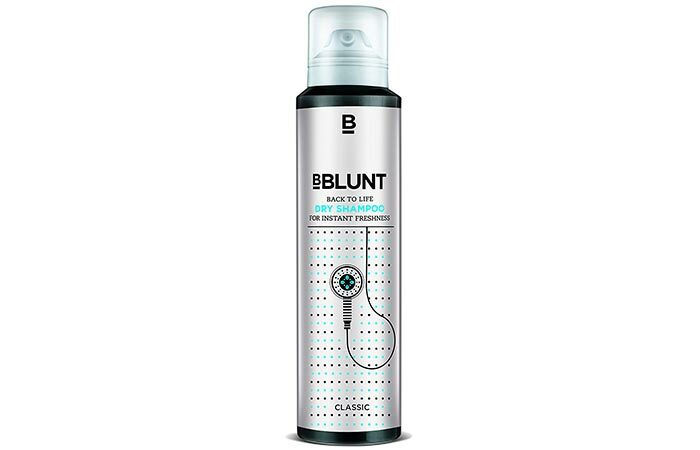 BBLUNT Back To Life Dry Shampoo fixes your hair in a couple of seconds. It gives it a new look and absorbs all the grease. The dry shampoo contains microcrystalline starch that is explicitly designed for Indian hair. It instantly freshens your hair. 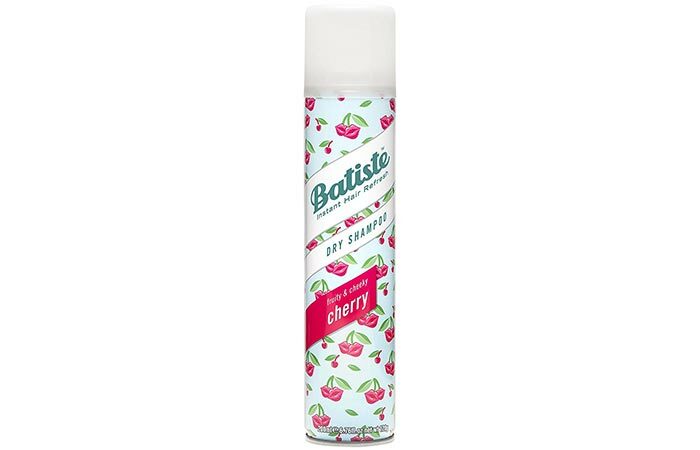 Batiste Cheeky Cherry Dry Shampoo gives a quick fix to your hair between hair washes. It cleans and adds texture to your hair. The dry shampoo adds shine to dull hair and smoothens it. It removes excess oil and makes your hair non-greasy. 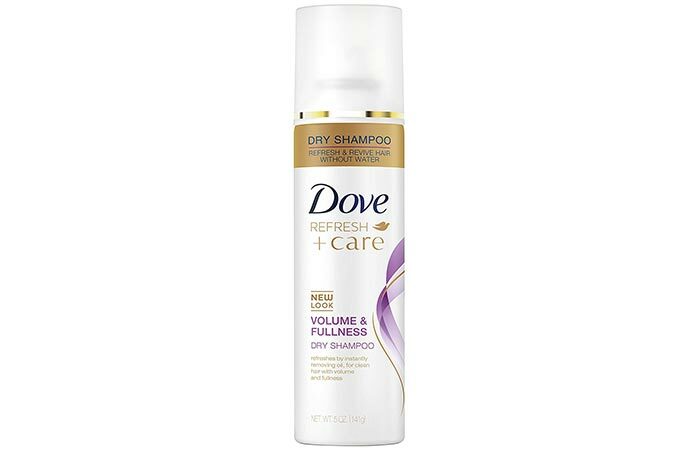 Dove Invigorating Dry Shampoo adds volume and fullness to your hair. It absorbs excess oil and keeps your hair in good shape. The dry shampoo repairs your hair and makes it look lustrous. It adds bounce and style to the hair. Wella Professionals EIMI Dry Me Dry Shampoo helps you manage your hair and improves its texture. It lifts your hair and gives it a matte finish. The dry shampoo contains tapioca starch and prepares your hair for styling. It helps in setting, curling, or straightening your hair. 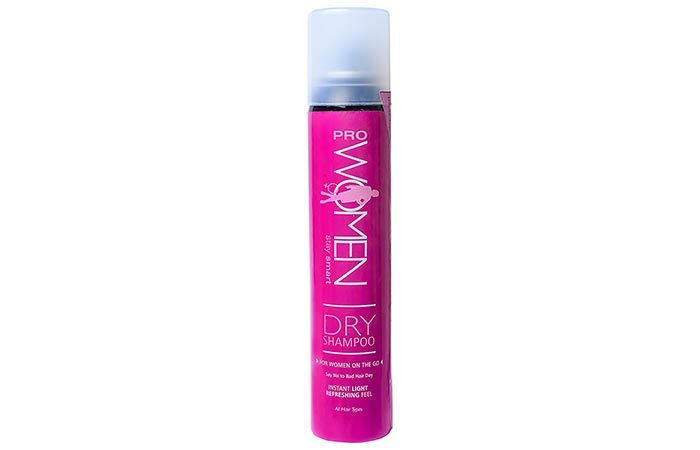 Prowomen Dry Shampoo cleanses your hair and fixes it within no time. It lightens dull hair and adds volume to it. The dry shampoo is perfect to use in between traditional hair washes. It helps in maintaining an optimum level of oil in the scalp. 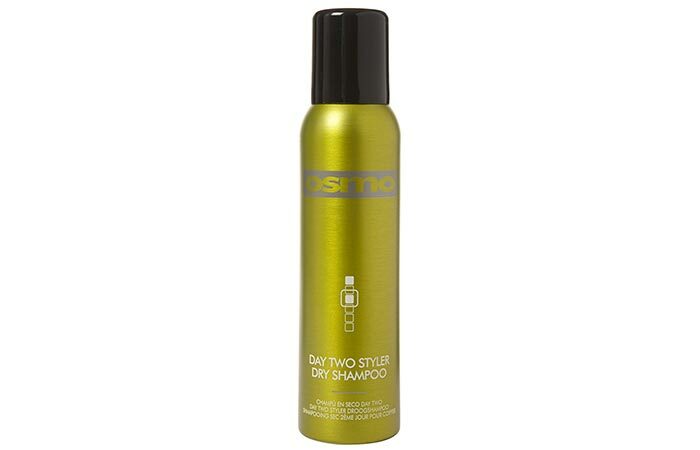 Osmo Day Two Styler Dry Shampoo holds your hair well without any build-up. It absorbs sebum and excess oil. The dry shampoo adds volume to your hair and helps create hairstyles that stay put for a long time. It is refreshing and rejuvenating. 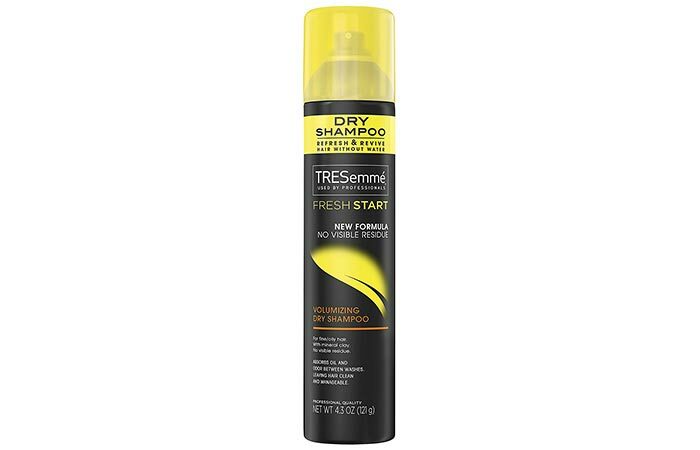 TRESemmé Fresh Start Dry Shampoo lifts limp hair and removes impurities. It helps keep your hair odor-free and fresh. The dry shampoo contains mineral clay and citrus that give you an out-of-the-shower feeling. It gives your hair full movement and body. 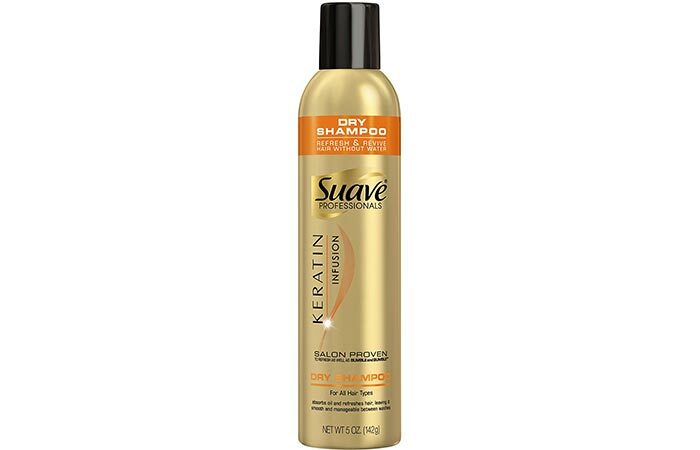 Suave Professionals Keratin Infusion Dry Shampoo helps you manage your hair and keeps it fresh between hair washes. The dry shampoo contains keratin that makes your hair smooth and soft. It extends your blowout for a longer period. 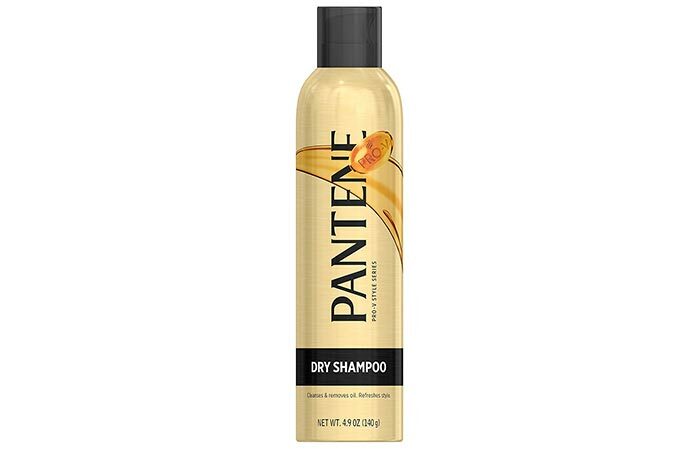 Pantene Original Fresh Dry Shampoo keeps your hair fresh and beautiful even without a wash. It absorbs oil from the scalp and keeps it itch-free. The dry shampoo contains natural tapioca that protects and takes care of your hair. 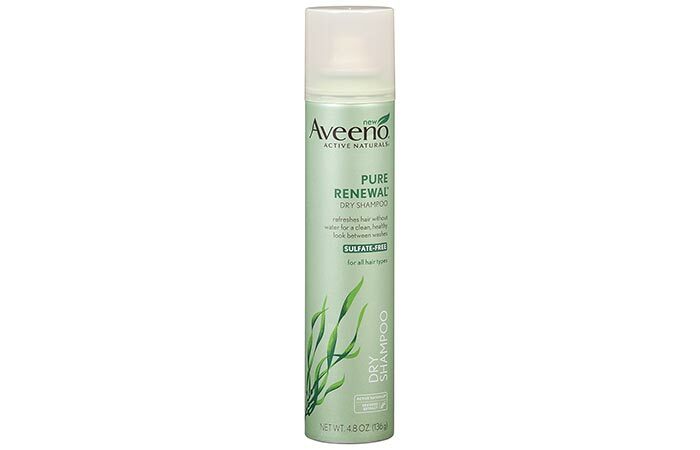 Aveeno Active Naturals Pure Renewal Dry Shampoo boosts volume and also moisturizes and refreshes the hair. The dry shampoo contains seaweed extracts that restore the natural moisture in the hair. It makes the hair manageable for styling. If you are running out of time and need to look your best, dry shampoos are your best bet. They transform your hair in a jiffy and make you party-ready in no time. 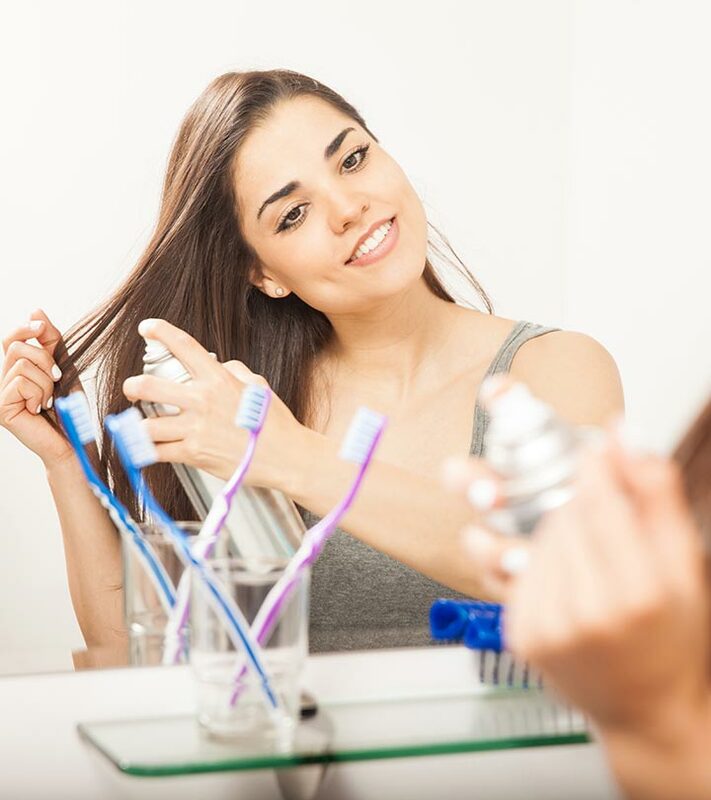 Dry shampoo is an excellent product for women on the go. Try the ones mentioned above and tell us what you think of them in the comments section below. 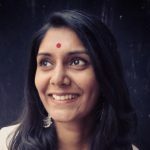 How often can I use dry shampoos? Use dry shampoos only if you are running out of time or feeling lazy to wash your hair. Once or twice a week is fine. Are dry shampoos better than regular shampoos? Dry shampoos are quick and convenient, but nothing can replace the goodness of a regular hair wash.